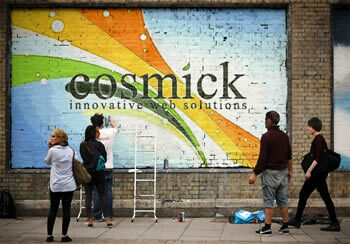 Cosmic Technologies is a full service digital marketing agency. 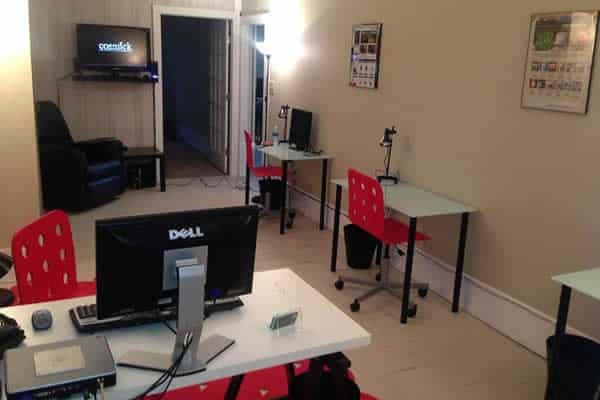 Their primary service lineup includes Web Development, Application Development, Custom Applications, Search Engine Optimization, Google AdWords, and Social Media Marketing. They service 400+ clients across the United States, which includes a couple Fortune 100 companies. Their territorial outreach expands to several international companies as well. 15 years ago, CEO Carley Kuehner was working full time with a large enterprise in a very cutthroat, corporate America position. One Christmas Eve, she found herself working in the office through Christmas day, and realized she wasn’t with her family. It had changed her entire outlook on quality of life work positions. It was at that point she realized that she needed to start a company which strives on hard work, but offers an environment where the quality of life and family are first, and a job feels like an extension of the home. What sets Cosmick apart from other agencies is even though they have 400+ customers coast to coast, they are available 24 hours of the day. Still, to this day, customers have their cell phone numbers and they develop a very close bond and relationship with all their clients where we they not looked upon as just vendors, but an extension of their company. They insist on excellent customer support and communication. 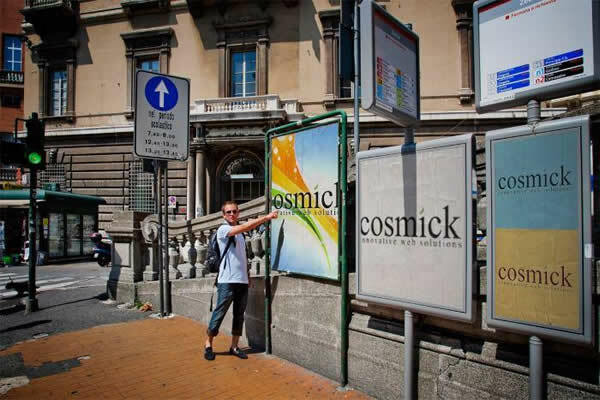 Cosmick’s typical customer consists of small to medium size businesses. Their primary client’s industries are in the following fields: banking, hospitals, colleges/universities, pets/animals, realtors, law firms, and start-ups. Of course, they have a large array of other industries as they are not limited to types of businesses they can provide services too. When it comes to employees there are 3 things that they look for when hiring a new employee. Communication: An individual must be able to communicate and still pick up a phone and conduct a quality conversation with a client and their team. Communication is the number 1 trait they look for. Documentation: Employees must be accountable for their tasks and projects they have at hand. Documentation is extremely important to keep other team members and the client connected. Skills: Believe it or not skills are one of the last qualities they look for. However, they are important, and a new hire must at least pass some basic tests. Skills can be taught and they feel when they provide the best atmosphere, and an employee can communicate and document well, the skills will come and a new employee will mature and grow with their company. Cosmick’s employees are remote so they needed to have a source where they can track when people are actively working. There is always something happening personally due to their larger team size, so Buddy Punch has been their way to track one another when their team is available. It has been a very nice connection between their HR and employee work schedules. Everyone was very receptive to Buddy Punch. Initially, the thought was that the team would have concerns punching in and out, but they were very receptive to the entire process. Per Lisa, the interface is very easy, and the everyone LOVES the fact that they can request and view their PTO right in the same program. After using Buddy Punch for several months now, the team is still loving it, management is still loving it and benefiting from the continued and frequent updates.